I just had to post this! This is how all humans should wake up, and of course different songs would do different things. Awesome Letterpress Poster! Too bad they are not available anymore. 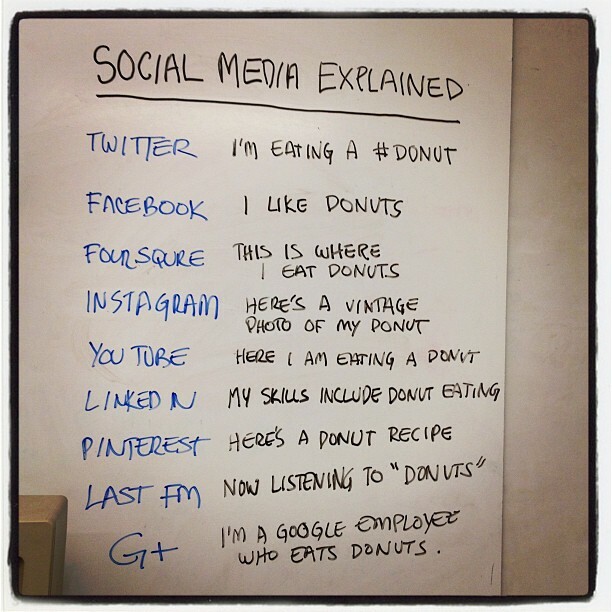 “Douglas Wray posted a whiteboard breakdown of all the major social media services and explained how they differ from each other using the example of a donut. Quite fittingly he posted the image on Instagram–the photo sharing service”. Pretty awesome, though I might add Yelp as where you got the Donuts! You are currently browsing the weblog archives for May, 2012.